Keeping warm and comfortable indoors when temperatures drop outside is easy when you have a space heater. If you want to add the toasty warmth of a portable heater to your home, consider the various types and their capabilities when deciding on the ideal model. How do you determine the best type of space heater for your home? The type of portable space heater you choose to heat your home is determined by how you plan to use the heater and the space you intend to heat. Consider these main types of portable heaters when making your decision. Designed to heat an entire space or room, convection heaters circulate currents across a heating element, such as an electric coil. This type of portable heater heats slowly and generally makes very little noise when operating. Small but powerful, is a convection heater that contains a ceramic disc located within the machine for safety that heats up to high temperatures and a fan to distribute the warm air. Used for spot heating directly where the warmth is needed, radiant heaters are effective in small spaces. As their name suggests, bathroom heaters are designed for use in the bathroom. They are built so that the current interrupts if the heater is exposed to water. Heat produced by light not visible to the naked eye, this type of portable heater often comes in a decorative wooden case. Many of these heaters feature quartz, and they have the added benefit of heating your home without reducing oxygen or humidity. Specific to Vornado products, these heaters effectively circulate warm air throughout an area, which makes them perfect for large rooms or rooms with high ceilings or skylights. Do space heaters come with any safety features? Many space heaters are equipped with an auto shutoff function that causes the heater to cease operating if the machine accidentally tips over and internal sensors that prevent the machine from overheating. Cool touch technology also makes the exterior of some heaters touchable, which reduces the risk of accidental burns. These features are especially valuable if you have pets or young children in the home. Also remember to keep objects from touching the unit and maintain air flowing around the heater. It's often not energy efficient to heat your entire home when you're just using one or two rooms, but you still want to be comfortable. A space heater allows you to turn down your central thermostat and stay warm when you're engaged in activities such as watching television, reading, sleeping and bathing. A space heater also helps you heat particularly cool or drafty areas in the home. Are space heaters energy efficient? Many portable heaters have thermostats, which allow them to automatically radiate just the right amount of heat. The fact that they don't run constantly and usually just heat small areas can result in reduced electricity costs for you. For spot heating needs, look for a model that allows you to tilt the heater in whatever direction you desire. A thermostat can be set at a desired temperature, resulting in the unit maintaining an even temperature. The heater will turn on and off as necessary to maintain your desired heating level for maximum comfort. 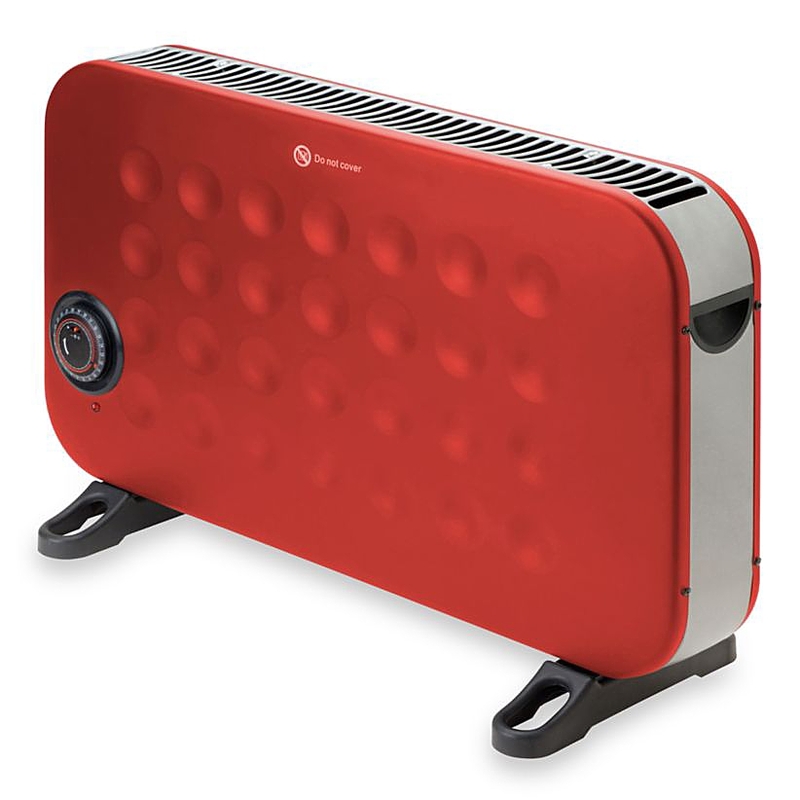 Portable heaters come in a wide variety of shapes and sizes, with some taking up very little space. There are compact heaters that measure just a few inches thick and less than two feet long, wide and tall, as well as tower heaters that are thin and tall. The wide variety of size options available makes it possible to find a heater that's just right for your space.